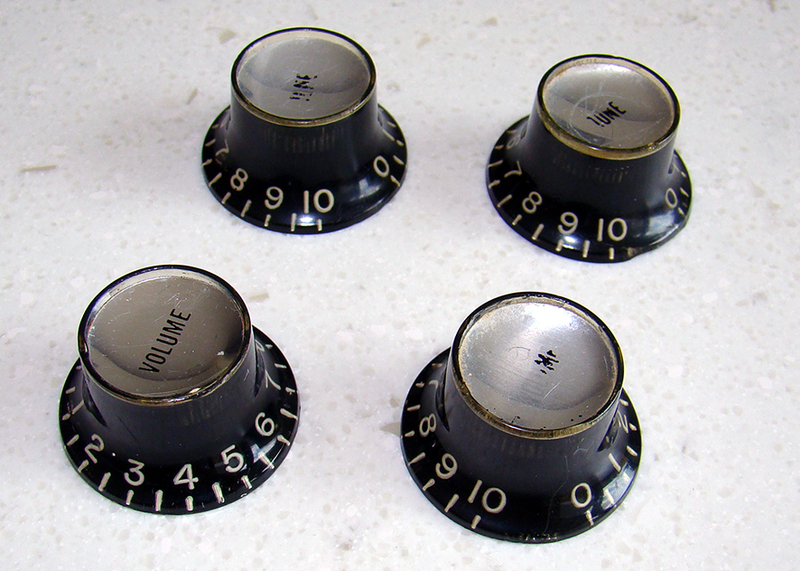 Set of four Gibson black "reflector" knobs. These are a matched set in excellent vintage condition. No cracks or damage. They have the silver coloured tops. We also have gold tinted tops, please ask. 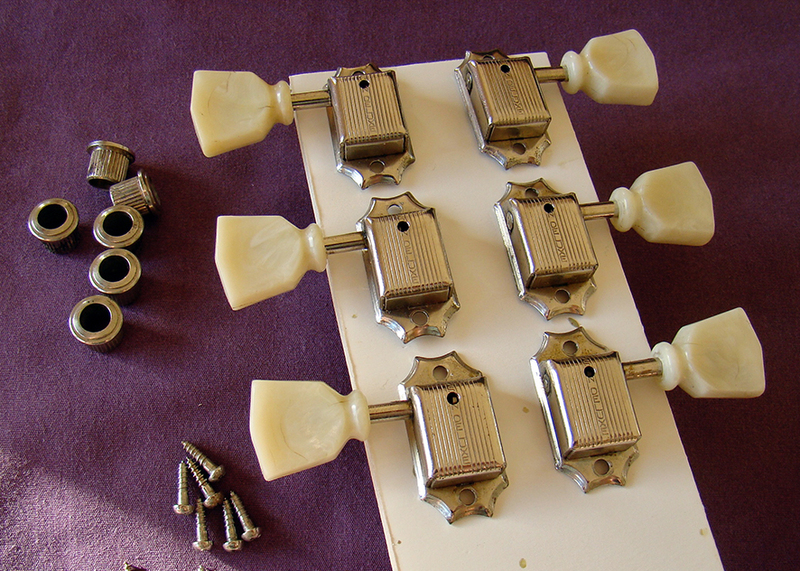 These are a matched set of four 'tin tops', in excellent condition. No cracks or repairs. Taller knurl makes them suitable for 1961-1968 instruments. This set knobs have the gold tinted tops. We have a selection of vintage strap buttons and screws from mid fifties through to the mid sixties. We have in stock, a few of these incredibly rare featherweight nickel plated stop tailpieces. 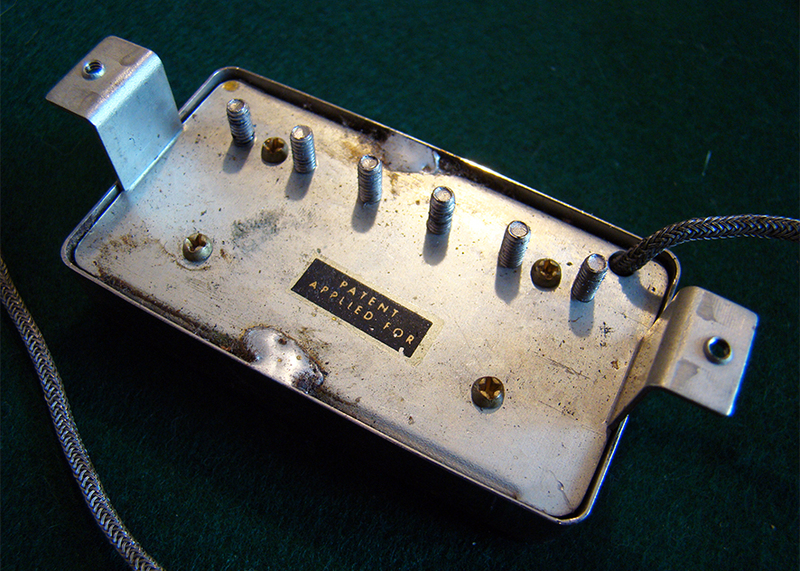 These were fitted to Les Paul standards and 335s only from 1957 through to the early 1960s and have the distinctive short break line on the underside. A very expensive item that won't be available for long.